The 2nd meeting of the East Midlands Academic Practice Network was hosted by the Centre for Academic Practice here at Loughborough on November 28th, with an e-learning theme. Notes of the meeting can be found on the network blog. On Wednesday December 17th the Centre for Academic Practice is holding its second lecture capture mini-conference, open to both Loughborough staff and external delegates. Entitled Lecture Capture: Building the Evidence Base, the workshop will provide participants with an opportunity to engage in conversation around the evidence base for the value of lecture capture, stimulated by informal presentations by practitioners from across HE. Lboro staff should contact the organiser, Charles Shields, directly to book a place. If you work at another institution, click here to book. The event is to be hosted in the Brockington Extension from 9.15am – 4pm. Lunch and refreshments will be provided. The format is based on short presentations with ample opportunity for discussion. The event is intended for academics, learning technologists, quality enhancement staff, and educational researchers – and anyone else with an interest in making effective use of lecture capture (LC). As many institutions are scaling up the use of LC, it remains a contentious area, with many academic staff still questioning whether the resources now being invested are justified. 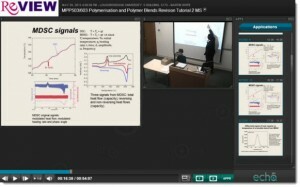 Learning technologists are being challenged to produce evidence that the introduction of lecture capture has a positive impact on learning outcomes. We would particularly welcome delegates who have concerns or who are sceptical as to the value of LC. This event provides an opportunity for who have been undertaking monitoring and evaluation projects to share their findings so far. Presentations will cover both institution-wide and small-scale studies. Please e-mail c.f.g.shields@lboro.ac.uk for further information. Payments can be made through the Loughborough online store from November 19th. The event is priced at £50.00 for external delegates. The Teaching Centre is changing…..
On 3rd October 2014, the Teaching Centre will become the Centre for Academic Practice. The new Centre will support all academic and academic related staff, research staff, staff with a teaching-related remit and PGRs with their academic practice. Look out for further details in due course. Your new and improved Co-Tutor is coming – September 2014. From 2014/15 a new and improved Co-Tutor will be rolled out across Loughborough. CEDE would like to celebrate and thank the many colleagues that have been involved along the way and will be hosting a launch event on the 24th September 2014 at 12 noon. For the past year Co-Tutor has been undergoing developments as part of a HEIF funded commercialization project. Phase I of the project has been such a success that the JISC and HEIF are continuing to fund a Phase II of further developments. You can cc’ in co-tutorrecord@lboro.ac.uk to add comments to Co-Tutor straight from your Outlook. Access more information within a student’s record, e.g. timetables and Learn activity. The Co-Tutor team would like to welcome Charles Shields, Jenny Narborough and Sasha Dosanjh (E-Learning team) to Loughborough’s support team. They will be the first point of contact for enquiries and training. Allison Dunbobbin (Careers and Employability Centre) will also be on hand to support the placement management features within Co-Tutor. The first European Conference on Social Media (ECSM) is being held from 10-11 July 2014 at the University of Brighton; the ECSM is keen “to establish a platform where academic and professional approaches to this rapidly expanding field of online activity can learn and share”. Prior to the ECSM, a Student Social Media Showcase (SSMS) is being held on 9 July 2014 as a pre-conference event, a forum within which “Students (undergraduate, postgraduate and doctoral) will be showing short presentations of digital content describing their research done with or on social media”; further information on the SSMS is also available on YouTube. Sandra Huskinson (Online Development Officer, School of Business and Economics, Loughborough University) is ECSM 2014 Social Media Manager and you are welcome to contact her for further details. Loughborough University’s newest National Teaching Fellow has highlighted teaching awards as a key driver in developing academics’ teaching careers. Speaking at the 2014 Teaching Innovation Awards, Dr Peter Willmot from the Wolfson School of Mechanical and Manufacturing Engineering talked of his delight when teaching received international recognition for developing researchers and engineers. Pro Vice Chancellor Teaching, Professor Morag Bell said the prestigious national award from the Higher Education Academy recognised Dr Willmot’s work in developing the global profile of engineering teaching. Earlier in his career Dr Willmot was the winner of a teaching award. Teaching Awards began at Loughborough University in 2005. Since 2012 when innovation became a key factor for winning projects, almost £60,000 has been awarded to 19 projects across 9 schools and departments. The projects have impact for future practice enhancement not only within Loughborough University but nationally, and in some cases internationally. Past projects have led to for example, developing more efficient assessment practices, new e-learning tools, student-led curriculum development, improved understanding of feedback and the UK’s first student-led, not-for-profit publishing house. The forthcoming European Conference on Social Media, which is taking place at the University of Brighton on July 9th, 2014, is seeking applications from students to showcase their research into social media. The conference website is located at http://academic-conferences.org/ecsm/ecsm2014/ecsm14-committee.htm, while the showcase website is at http://blogs.brighton.ac.uk/ssms/. Further information is also available from Sandra Huskinson (Online Development Officer, School of Business and Economics) if Loughborough staff and/or students are interested in taking part. 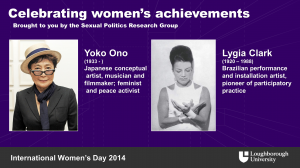 In celebration of International Women’s Day, which takes place on March 8th each year, the Sexual Politics Research Group, led by a number of colleagues based in School of the Arts, is hosting a screen event across campus. This is part of a series of celebrations taking place this Friday, 7 March 2014. Throughout the day, the IT information screens will honour women’s achievements past and present, local and global, in the arts, humanities, social sciences, engineering, science and technology. Many of the names used on the IT information screens were generated by enthusiastic submissions and the organisers hope that people enjoy seeing their choices on screen this Friday. The organisers intend that this will be the first manifestation of an annual event here at Loughborough University and they will keep us all posted about further developments in future. A copy of the associated PPT slides to be used is also available via Learn, and colleagues are encouraged to use them in their own lectures, etc., this coming week, i.e. as a prelude to seeing the slides on screens in the ‘public’ spaces across campus this Friday. We are assured that there are no copyright issues and that colleagues are very welcome to use them as a teaching tool/discussion starter. A range of disciplines, times and places, as well as a healthy mix of LU women are included, and the show runs for around 7 minutes in total – i.e. perfect for the ‘filing in’ and ‘filing out’ of lecture theatres! Also this Friday, 7 March 2014, RADAR is hosting a symposium entitled Making Something from Nothing, organised by Assunta Ruocco, a PhD candidate in the School of the Arts: go to http://www.arts.lboro.ac.uk/radar/project/questions_of_value/symposium/ for more details. The title is borrowed from Lucy Lippard’s famous text ‘Making Something from Nothing’ (1978), in which Lippard was attempting an articulation of the contradictions arising with more women emerging in the art scene, between their artistic labour and the reproductive labour they performed in the home, connecting their artistic activities to traditional making activities not part of high-art or culture. The latest in a series of School of the Arts (SotA) Learning and Teaching (L&T) seminars was held last Wednesday lunchtime, February 5th; part of the School of the Arts, English and Drama (AED), this particular SotA L&T session centred on the “Online Module Update and Approval System”. Delivered by Lynn Clulow (SotA Undergraduate Programmes Administrator) and Steve Warren (AED Operations Manager), it gave an insight into, as well as guidance upon, the electronic updating of module specifications ahead of next academic year, and it was attended by a number of SotA staff. More details regarding this L&T series, which have been established primarily for SotA staff, as well as AED colleagues in English and Drama, are available from Dr Rob Harland. The Online Module Update and Approval System is accessible via the CIS Portal; further information regarding the Annual Update of Programmes and Modules is available through the dedicated Academic Registry pages provided by Programme Quality and Teaching Partnerships, with this process supported by Operations Managers/Departmental Administrators across campus. The application deadline for Leading Transformation in Learning and Teaching is Friday 14 February 2014. The programme starts Wednesday 5 March 2014. 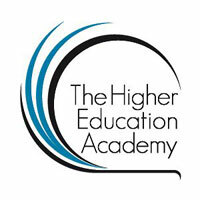 The Leadership Foundation and Higher Education Academy have jointly designed this exciting leadership programme for degree programme leaders and those responsible for leading learning and teaching. Participants will focus on a holistic approach to curriculum design at degree programme level. The main theme will be process by which university programmes are transformed, or freshly developed, to meet new needs, expectations and demands. This programme is aimed at those responsible for leading learning and teaching development at programme, department, school, or faculty level, but is open to anyone with an interest in curriculum design, educational leadership, change and transformation. The literature offers a wealth of different models of change, from the work of Kurt Lewin in the 1940s to more recent ideas of complex, emergent and organic change. This masterclass will link theory and practice by presenting a selection of models that teams taking part in HEA change programmes have found most useful. Participants will have the opportunity to explore, adapt and apply these models to their own institutional context and goals. Change masterclasses are interactive events designed for individuals engaged in change in higher education at any level. The series covers the key elements of the change lifecycle: preparing, planning, implementing, and sustaining change.